Upon graduating from Stevens Academy in Hoboken, New Jersey and earning a Bachelor of Science degree in mathematics at Jacksonville University in Jacksonville, Florida. Dr. Ronald P. Petrosky went on to graduate from Temple University School of Dentistry, Philadelphia, Pennsylvania with a doctor of dental surgery degree. 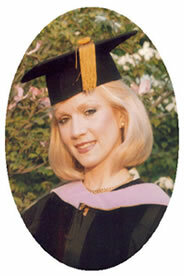 Dr. Gail P. Petrosky graduated from Hoboken High School, Hoboken, New Jersey, Monmouth University, Monmouth, New Jersey, and went on to graduate with a Doctor of Dental Medicine and a specialty degree in prosthodontics from the University of Medicine and Dentistry of New Jersey, Newark, New Jersey. Both Drs. Ronald and Gail Petrosky have since maintained a dedication and passion for excellence in the profession of dentistry having also completed numerous advanced continuing education programs such as certificates in implantology from the Misch International Institute in Detroit, Michigan, Harvard University School of Dental Medicine, Boston, Massachusetts, and the Brookdale Hospital Medical Center, Brooklyn, New York. Dr. Ronald Petrosky has also been honored as Board Certified with The International Congress of Oral Implantologist and from several national and international dental organizations with many Diplomate, Mastership, and Fellowship awards This is in recognition of his outstanding achievements, having completed approximately 3,000 hours of advanced continuing education, many years of clinical experience, along with passing oral and written examinations. in the top 1% of his peers nationwide.
" Completing the 'highest criteria for professional excellence' of at least 1,000 hours of continuing education in 16 disciplines of dentistry including 400 hours dedicated to hands-on skills and techniques. quality of care to patients. In 2005, Dr. Ronald Petrosky was selected as one of America's Top Dentists by The Consumers' Research Council of America, Washington, D.C., AS Who's Who In Dentistry, and in the National Registry of Who's Who. Dr. Petrosky's office offers the very latest in innovative 21st century advanced technology such as Periodontal Laser Therapy(LANAP), 3D Cad-Cam ceramic restorations, mini dental implants, Lumineers for beautiful smile designs, one visit rotary root canal therapy, 3D CT-scan imaging, in a unique, nostalgic, imaginative atmosphere for the quality care and comfort of the patients we have the pleasure to serve. Dr. Mark R. Morin, D.D.S., F.W.C.M., Dr. Doug Voiers, D.D.S., F.W.C.M., F.I.C.O.I.,F.A.G.D. Larry Rosenthal, D.D.S., Ross W. Nash, D.D.S., William Dickerson, D.D.S. L. Stephen Buchanan, D.D.S.,F.I.C.D., F.A.C.D. John Schoeffel, D.D.S., Frank Allen. D.D.S. Barry Lee Musikant, D.M.D., Allan S. Deutsch, D.M.D. Kenneth A. Koch, D.M.D., Dennis G. Brave, D.D.S. Arthur K. Weathers, Jr., D.D.S. G. John Schoeffel, D.D.S., M.M.S. 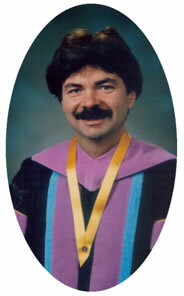 Raymond Yunka, D.M.D., M.S., Todd McCracken, D.D.S. 3D Imaging-Is it Right For You? Your dentist is a member of the Academy of General Dentistry (AGD), an organization of general dentists who are dedicated to professional development and continuing education. All AGD members must remain current with advances in the profession to provide quality patient treatment. A general dentist who is a "Fellow" in the Academy of General Dentistry (FAGD) has been recognized by other general dentists as a leader and an example to other dentists of the importance of quality continuing dental education to patient care. A general dentist who has earned the designation "Master" of the Academy of General Dentistry (MAGD)—a big step up from Fellowship—has completed a structured and rigorous set of requirements involving all the dental disciplines. Both Fellows and Masters have accepted the charge to keep abreast of advances in dentistry for the benefit of patients and the betterment of dentistry. They serve as mentors and leaders to other dentists pursuing continuing dental education. They set examples in their communities with their hard work, concern and involvement. Achieving the goal of Master of the AGD is a significant milestone in a member's career and clearly establishes a dentist as a shining example to other members of the profession. With this honor comes responsibility. Masters of the AGD have influence and prestige within the organization. Keep the commitment to the AGD strong and leverage the Master position to make the AGD an even better organization. Stay engaged, whether it be on a constituent, regional, or national level. Masters' talents are needed as the AGD moves forward into a new era. No fees, donations, sponsorships or advertising are accepted from any individuals, professionals, corporations, or associations. This policy is strictly adhered to, ensuring an unbiased selection.